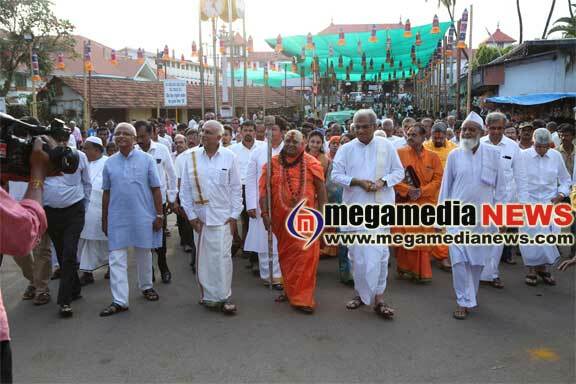 Beltangady: Sri Krishna devanandagiri Maharaj of Gujarat Sooryapeetha, said that blessings from the mother happens to be the most precious thing anyone can get. He also said that lives of people get positively transformed when they give importance to helping others and donating what they have. He also hailed Dharmasthala Dharmadhikari, Dr D Veerendra Heggade, for undertaking various service initiatives and thus spreading the presence of Lord Manjunatha. 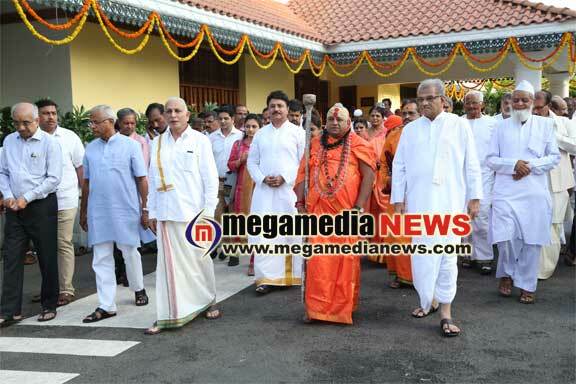 He also appreciated Dr Heggade for serving the cows and giving importance to cleanliness. 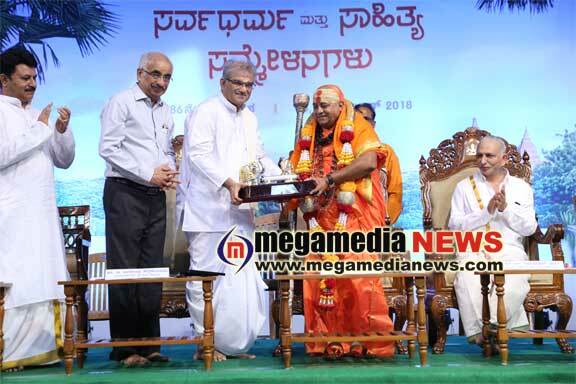 He was speaking after inaugurating the 86th Sarvadharma Sammelana (all-religion meet) organized at Amruthavarshini Hall at Dharmasthala on Wednesday, December 5 as part of the annual Laksha Deepotsava celebrations. Founder of Satsang Foundation Bengaluru, M (Mumtaz Ali), who presided over the Sammelana, said that being human beings, it should be our foremost aim to live like humans seeks humane qualities in everyone else. He felt that everything will fall in place if people cultivate the belief that there is sanctum sanctorum inside their hearts, adding that shunning violence and loving peace is the ultimate aim. Former MLA, J R Lobo, Sufi saint, Ibrahim Sutar Mahalingapura, and dance exponent, Sridhar, delivered lectures on different subjects. 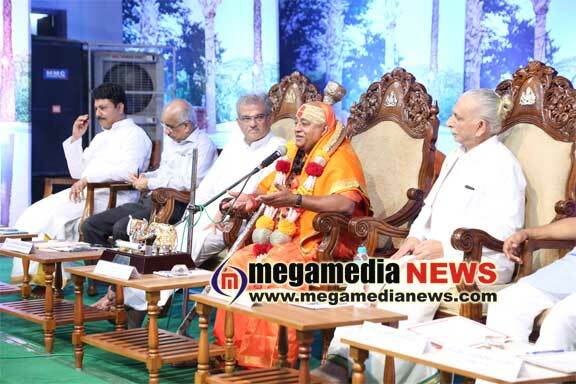 In his welcome address, Dr Heggade explained about the initiatives undertaken by his Dharmothana Trust to renovate 12 temples per year and undertaking cleanliness drive. APMC Beltangady president, Keshava Gowda P, proposed vote of thanks. Lecturer, Dr B P Sampath Kumar, presented the programme. The programme was followed by the rendition of Carnatic classical music. At night, Kanchimarukatte Utsava was held.